A lot goes into planning an office move—not to mention the importance of keeping your move within your budget and time-line. When you want an efficient move that not only protects your valuable and delicate office equipment, but also ensures your office is up and running more quickly and affordably, choosing professional Orange County office movers is an important first step. Distance Limitations: Not all moving companies have what it takes to provide long-distance moving services. So, if you’re relocating out of town or across the country, make sure you’re going with professionals who are experienced in long-distance office relocations. Service Scope: Business moves require specialized packing and moving skills in order to keep your valuables protected for the duration of your move. 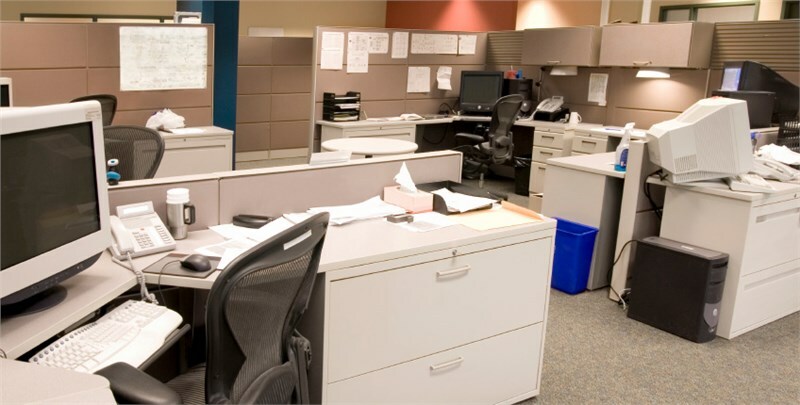 Our full-service office equipment movers can pack your entire office, tear down modular and panel furniture, properly handle your electronics and other equipment, ensure prompt delivery, office furniture installation and more—all while meeting your budgetary and efficiency needs. Reputation: Even full-service movers who provide long-distance services can fail to provide the customer-focused service you deserve. Protect your relocation investment by researching your moving company to ensure they are BBB-Accredited and have a long-standing reputation for quality service. Planning an Office Move? We Can Help! If you’re planning a business relocation, the Orange County office movers at Alex Moving & Storage can provide you with a seamless experience that always minimizes downtime and maximizes savings! Whether you are moving locally or across the country, our licensed and insured professionals have what it takes to get the job done—and we’ve done just that for more than 30 years!